Looe Island is a small island situated around a mile off the coast of the harbour town of Looe. The partially wooded island measures 22.5 acres in area and is generally only accessible from the mainland by boat. However, on spring low tides it is just possible to walk across the rocks to the island. Over the years the island has been put to various uses and there are several buildings. Most prominent of these is Island House, built by HM Customs in 1876 to finally rid the island of its reputation as a smuggling haven. In addition to a couple of smaller cottages there are also the ruins of a 12th century Benedictine chapel. 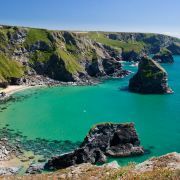 The island is owned and managed by the Cornwall Wildlife Trust, who control access to the island and provide a boat service during the summer months. Visitors have around 2 hours to explore the island's two beaches and admire the views back to the mainland. 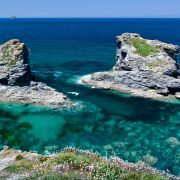 Also known as St George's Island the original Cornish name is "Enys Lann-Managh", which translates as island of the monk's enclosure. Both names give a hint to the island's past religious significance. There is evidence of human habitation on the island as far back as the Iron Age. 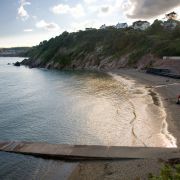 Pottery and coins dating back to the Roman occupation have also been found on Looe Island. Legend states that at around this time the island was actually visited by a young Jesus who was accompanying his uncle, Joseph of Arimathea. 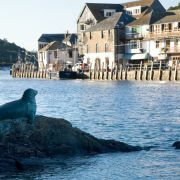 The reason for this visit was to trade Cornish tin with some suggesting Looe Island was Ictis, an important tin trading centre. 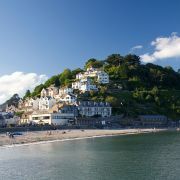 Whilst this may sound ridiculous there is strong evidence of the Phoenicians trading tin in Cornwall in the 5th century. 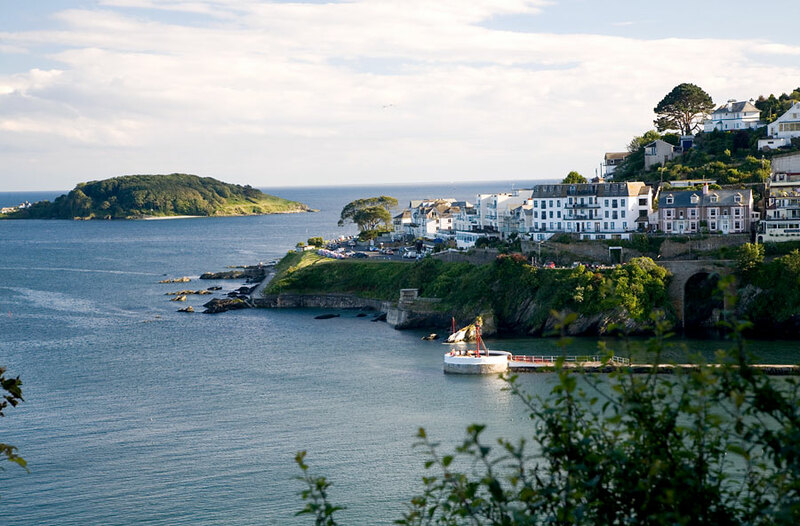 With such a claim, Looe Island became a place of pilgrimage for early Christians and small chapel was erected. The island retained its religious significance throughout the Middle Ages when it was known as St Michael's Island. However, things began to change with Henry VIII's Dissolution of the Monasteries in 1536 starting with the name. In the mid 1500s Looe Island became known as St George's Island. 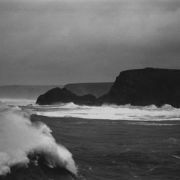 The former place of pilgrimage became the haunt of smugglers keen to avoid the customs men of Falmouth and Plymouth. It was ideally positioned just off the mainland so that illicit goods could be stashed away until the coast was clear to ferry them over. Mush of the contraband came over from the Channel Islands which were exempt from the high taxes levied on goods such as spirits, silk stockings and tea. Amongst the most infamous of these smugglers were brother and sister team; Finn and Black Joan who stashed their contraband in secret caves on the island. Later notorious smugglers included Amram Hooper and Thomas Fletcher, a former coastguard who utilised his knowledge to stay on step ahead of the excise men. 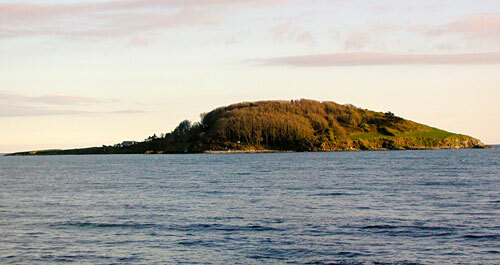 Looe Island was sold by the Crown to Sir John Trelawny in 1743. It was shortly after this that trees were planted on the island. The island remained in the hands of the Trelawny family for a further three centuries. In 1912 Looe Island was leased out for 21 years to Henry St. John Dix for the sum of £50 per annum. 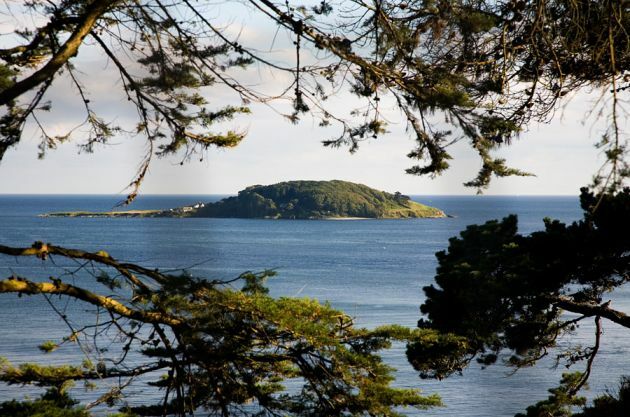 In 1965 Looe Island was bought by two middle-aged spinster sisters from Epsom in Surrey. Evelyn 'Attie' Atkins and Roselyn 'Babs' Atkins had dreamt of spending their remaining years together on island and after borrowing £22,000 that's exactly what they did. The Atkins sisters spent many happy years on the island living in Island House with Evelyn writing two books about their experience; We Bought an Island (1976) and Tales from our Cornish Island (1986). After Evelyn died in1997 Babs remained on the island alone until she passed away at the ripe old age of 86 in 2004. On her death Babs left the island to the Cornwall Wildlife Trust so it would be preserved as they intended. The trust maintain Looe Island as a nature reserve with Island House now home to a small museum featuring mainly assorted knick-knacks that belonged to the sisters.